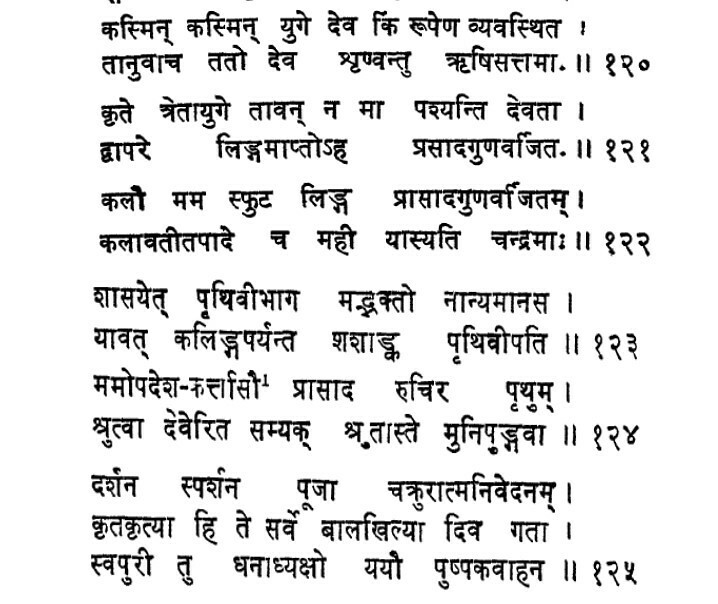 As per conversation in Ekamra Purana (Chapters 11-14), in Satya-yuga, Pitamah Brahma expressed his desire to build a temple for Maheshwara. Maheshwara had already allowed the liberty to Chandra (Sashanka) and had chosen the location. 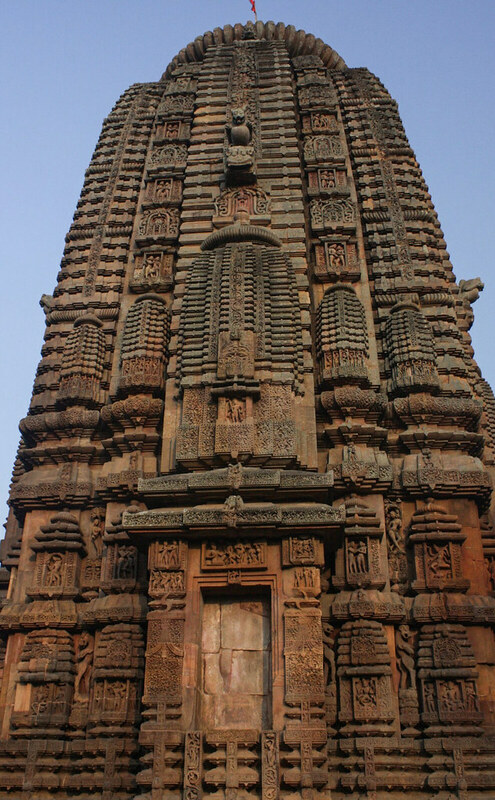 However, Maheshwara allowed Vivudheshwara Brahma to build a temple close-by to be called Brahmeshwara. 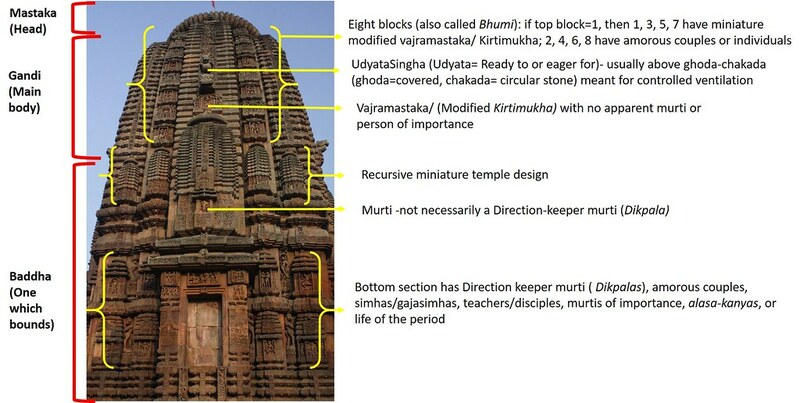 Similar cross-references to Svarnadri Mahodaya, Ekamra Chandrika, and Kapila Samhita point to two primary points of interpretation: Maheshwara will reside as Tribhubaneshwara in Ekamra in a temple built by Sashanka in Kali yuga and Brahmeshwara can considered as pre-cursor and complimenting Tribhubaneshwara, also called Krittivasa at Ekamra. 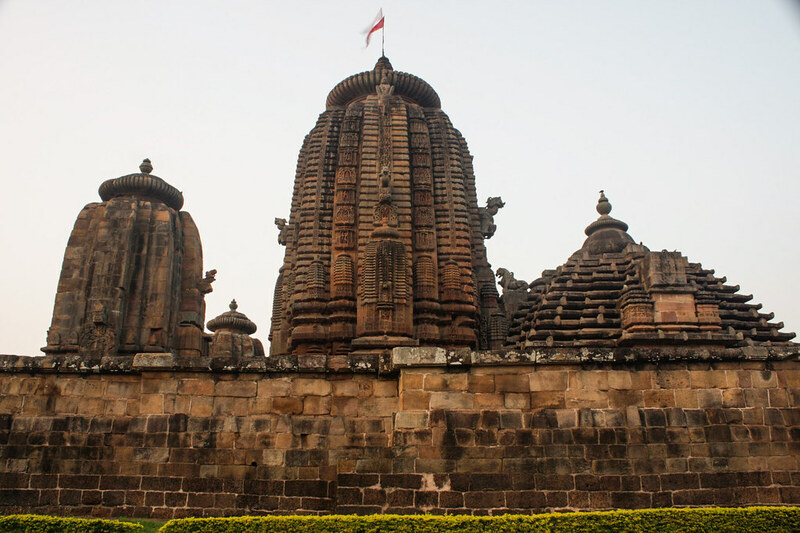 Upanisad, Silparatnakara, Silpasarini, Silpa Prakash, Padma Kesara, Deula Mapagunagara, Bhuban Prabesh, Soudhikagama, and many others which still leave modern day architects in awe. The closest airport of Biju Patnaik International Airport, Bhubaneshwar. 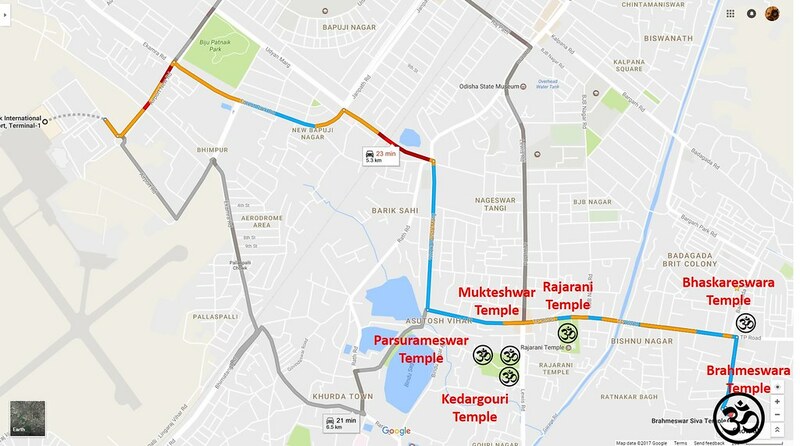 The following map shows the directions. The railway station is also very close. The entry to the temple is from north gate. 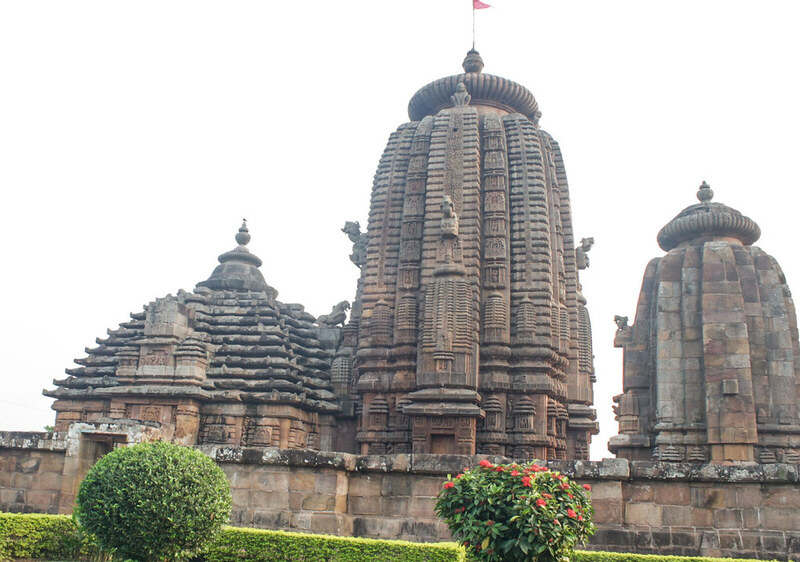 It is a living temple where Shiva presides as linga inside circular yonipitha. Let me try and elaborate both these points in layman terms. Pidha Deula: In rural Odisha, thatched Houses were common and the thatched slanting roof made of properly cut & trimmed straw or wooden piles is called a Pidha. 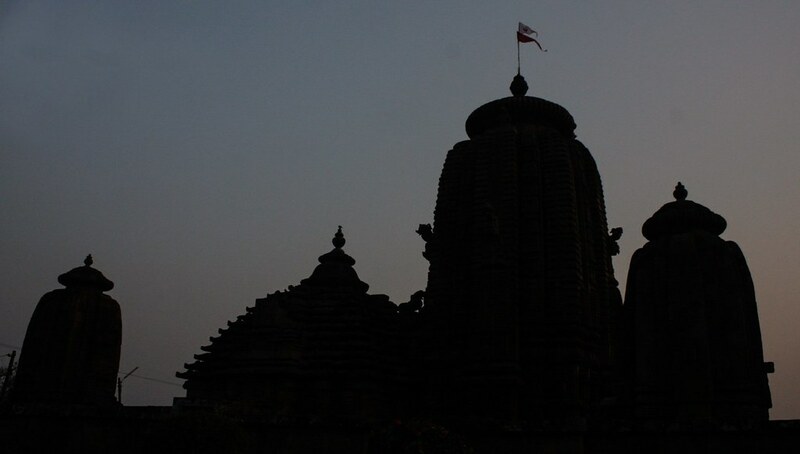 A temple designed in this form is called a Pidha deula. Let me see if I can work on a Pidha Deula example soon and publish. 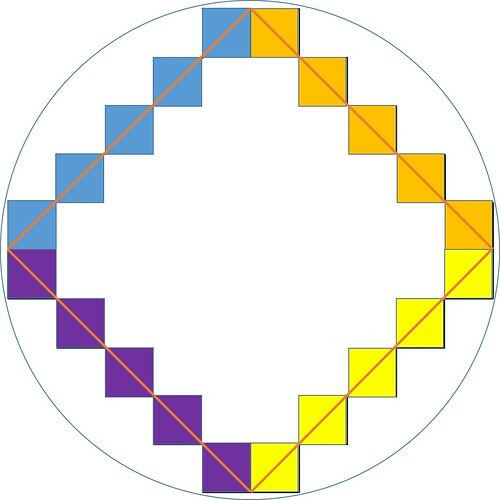 Five primary pillars on each line of the diamond (I have demarcated this with different colours for easy understanding). 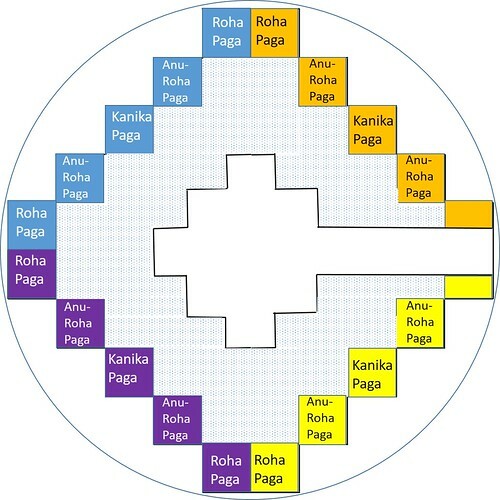 So, Eka-ratha (eka=1) is just a cuboid, Tri-ratha (tri=3) has three pillars, Sapta-ratha (sapta=7) has seven pillars, Naba-ratha (naba=9) has nine pillars along the diamond. The more the feasibility of pillars, more circular and higher the structure can be. Each of those pillars is called a Paga and has a name. 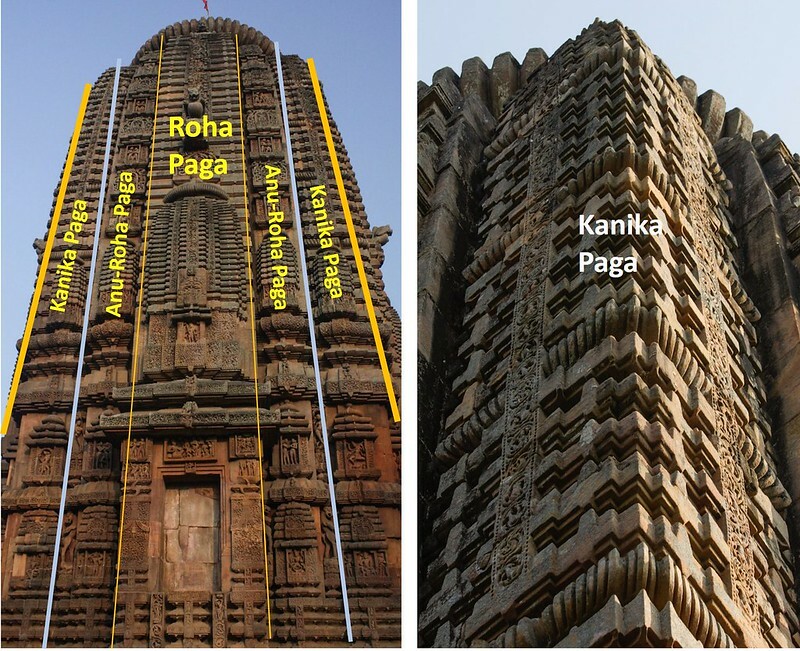 The pillars at the vertices of the diamond are called Roha Paga (Roha= main base or mount). The unshaded-portion in the centre is the sanctum sanctorum. Now, without going very deep into the detailed architecture, I take you to the outer temple design. Hope the labels are self-explanatory. I couldn’t take a close-up of the Mastaka (head) of Brahmeshwara temple to show it clearly. 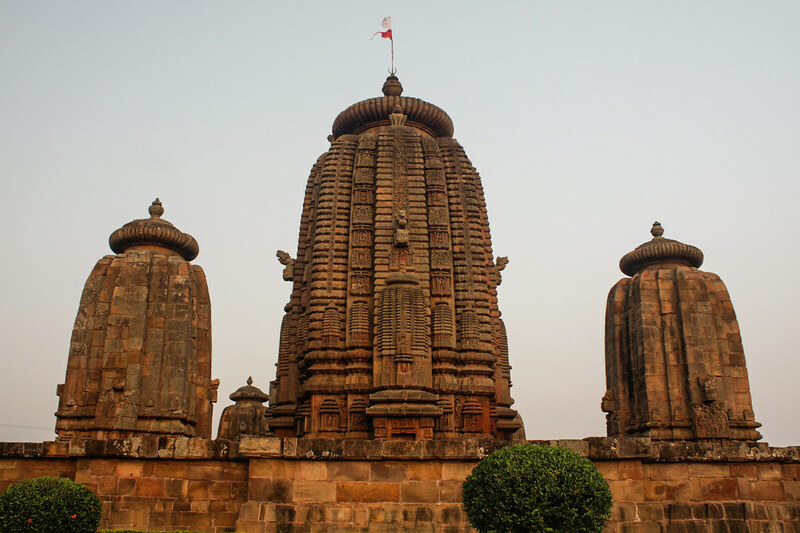 But, in my next article, I will attempt the magnificent Lingaraja Temple. I will try and take the concept of Mastaka in more detail. I may have loaded you with a lot of technical details already. So, I break here before I get into my detailed description and interpretation of various temple components. Lots of images coming up in the next part of the blog. So, stay tuned and stay blessed.